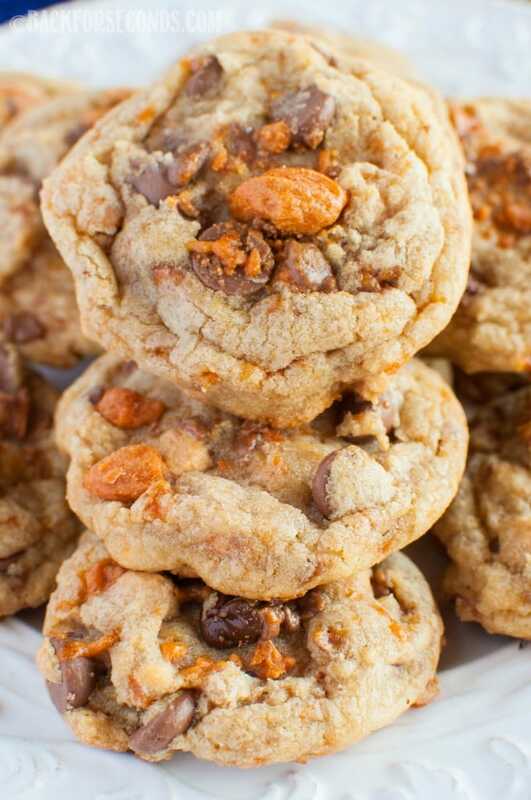 These Brown Butter Butterfinger Cookies are every bit as good as they sound! 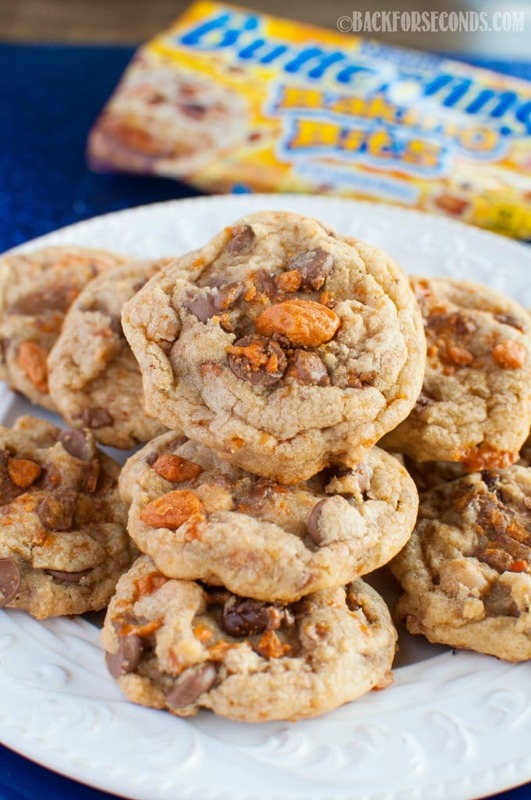 Chewy, buttery cookies with chocolate, peanut butter chips, and butterfingers! Nobody better lay a finger on my butterfinger cookies! Especially since these soft, chewy cookies are made with browned butter! These are hands down one of the BEST cookies I’ve ever had! My little ones help me make 90% of everything I cook and bake, and sometimes they come up with amazing ideas while we’re brainstorming what to create next! My boys decided on butterfinger cookies – an excellent choice! But I wanted to do more than a basic cookie recipe with butterfingers inside. I rummaged through the cabinets and found peanut butter chips and milk chocolate chips. Oh yes, we needed those! Then it hit me – BROWN BUTTER! 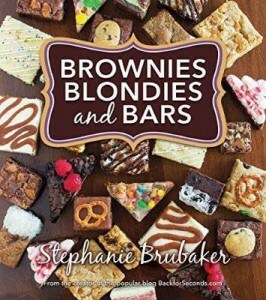 One of my favorite desserts are these Brown Butter Toffee Blondies. The brown butter makes them so chewy and gives an extra layer of flavor. All you need to do to make brown butter is place the butter in a saucepan over medium heat, stirring until melted. Once it’s melted stop stirring. It will bubble and foam and soon turn a light brown. Keep a very close eye on it because one it starts turning brown it can burn very quickly if you’re not watching. Once it gets to a nice amber shade, turn off the heat and pour it into a bowl to cool. Make sure to save all the brown bits at the bottom of the pan. That’s where all the magical flavor lives! See? Easy! And if these cookies get you craving more butterfinger goodies, try these Chocolate Butterfinger Cupcakes! They have to be one of the best cupcakes on the planet! Enjoy! I love that your kids are such a huge part of everything you bake! These are memories they will treasure forever. And these cookies have me drooling!! Yum! I need just a few of these…maybe more…they look too good! Oooooh I love butterfinger cookies! These look wonderful! 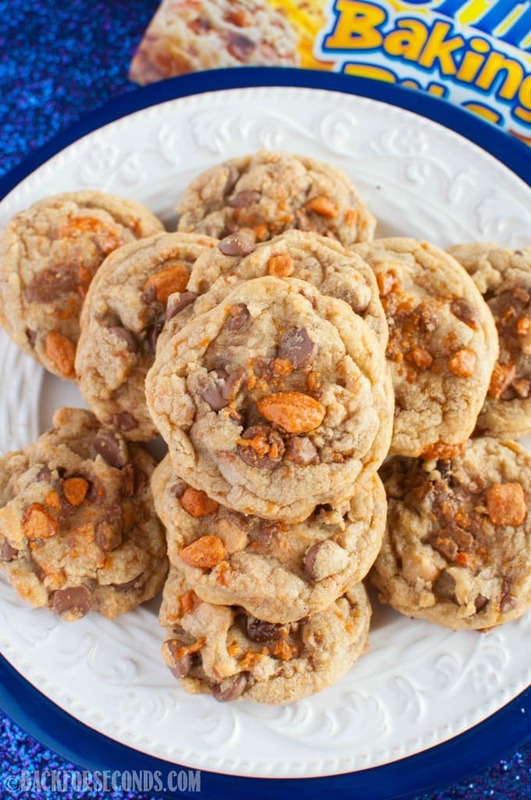 Butterfingers are my FAVORITE, and I just adore that you added them to these cookies! I’d love one or two of these today! 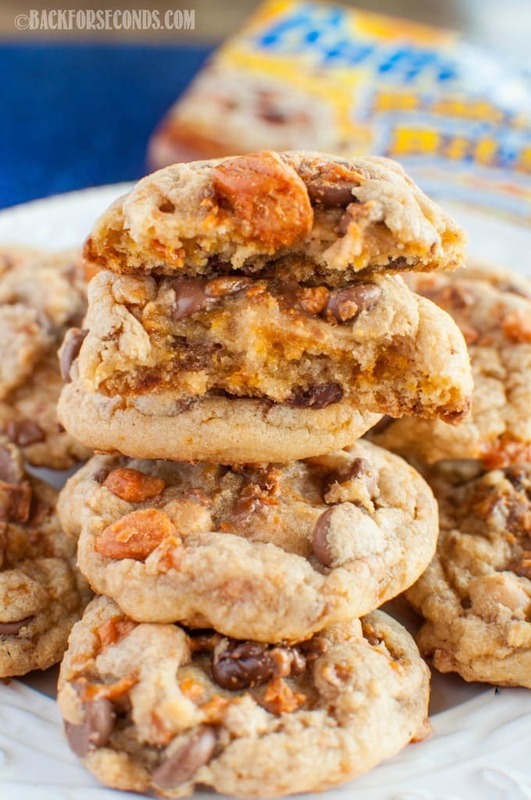 My girls would love these butterfinger cookies! I think it’s great when the kids help out! It makes it more fun and memorable! I love cookies! I am always looking for new recipes. Thanks for the recipe!